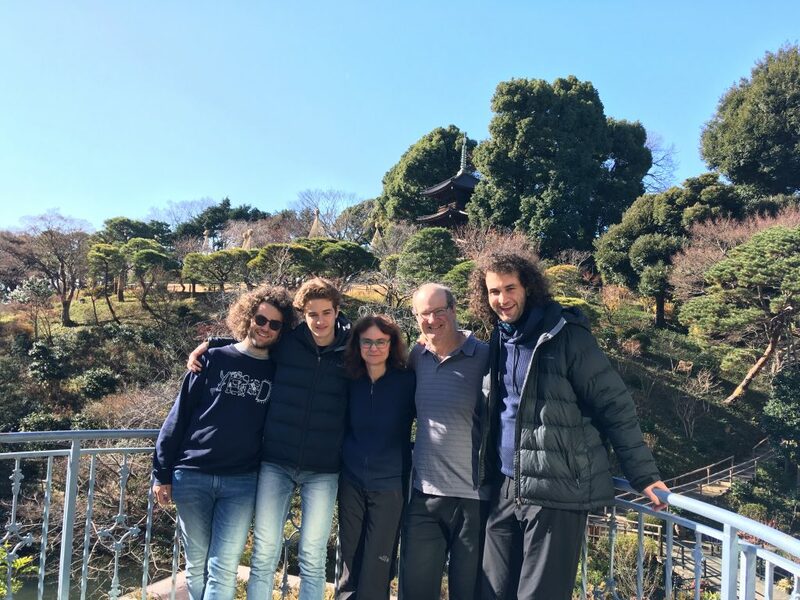 I guided an American family from LA to Kamakura. 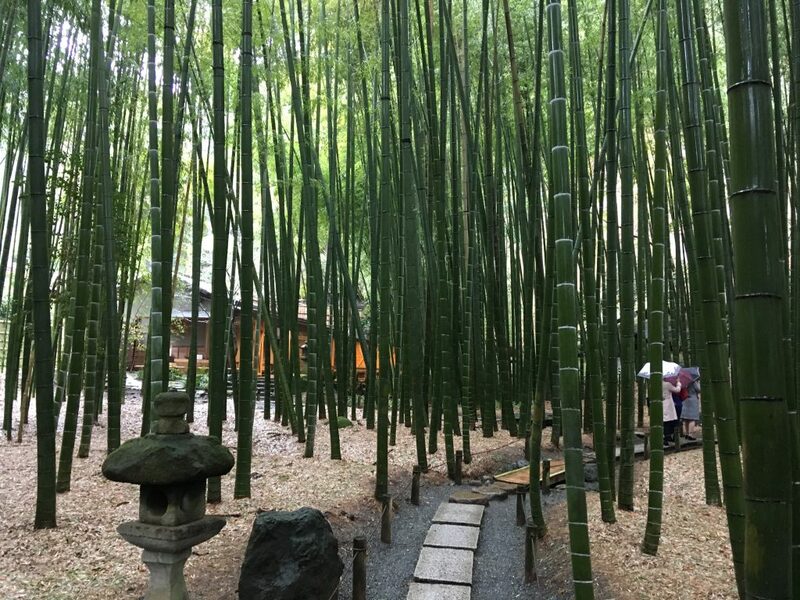 Hokokuji temple in Kamakura has a beautiful bamboo garden. We enjoyed peaceful time there sitting on the bench and chatting. Kamakura Tour – Spring is coming soon ! 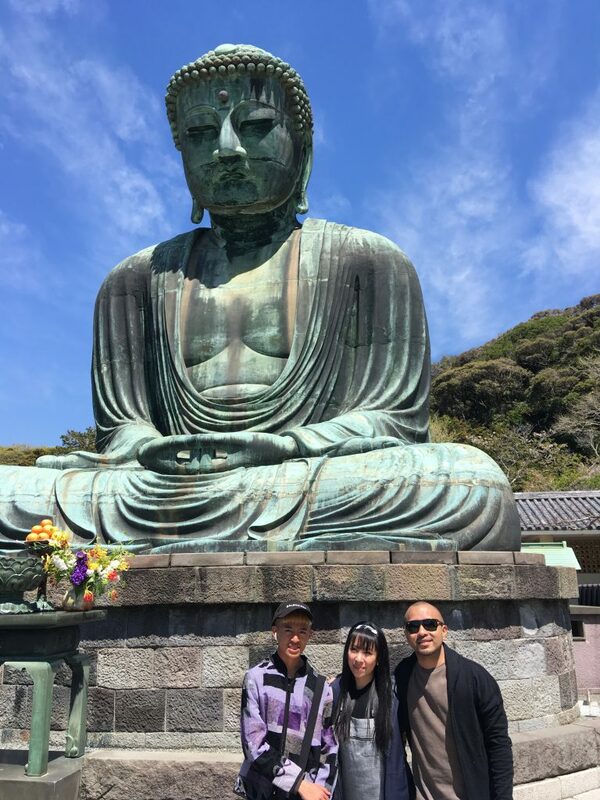 I guided two Japanese-American ladies to Kamakura. 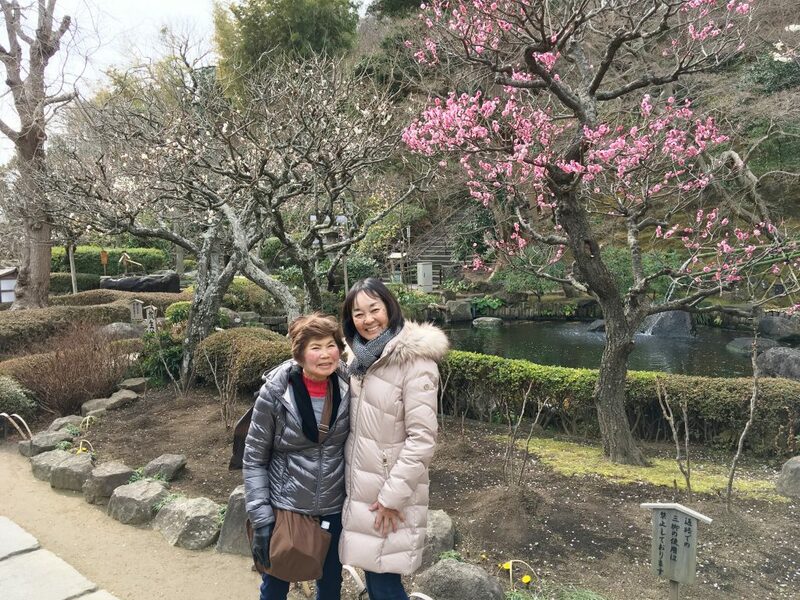 At Hase-dera temple, we were able to see plum trees blooming. This flower makes me feel “Spring is coming soon”, even though it snowed a little that day. My first job this year. 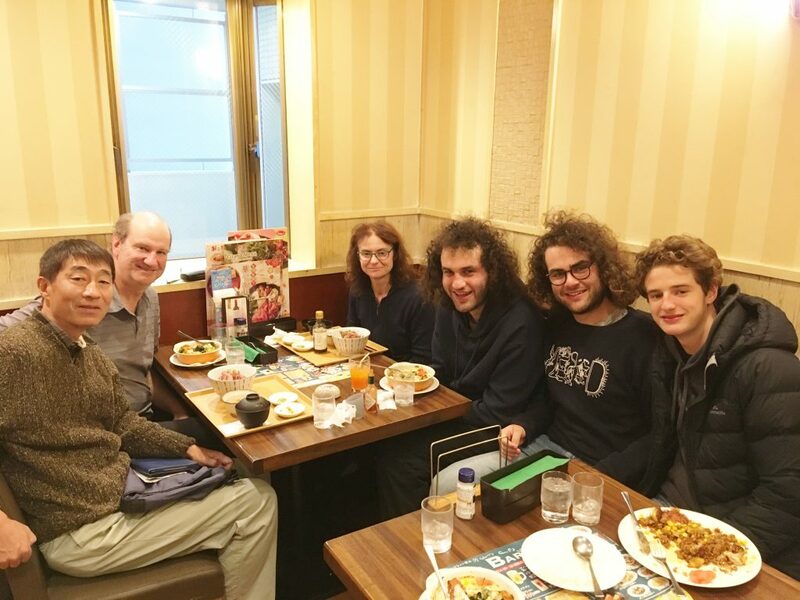 I guided an Australian family to Tokyo. 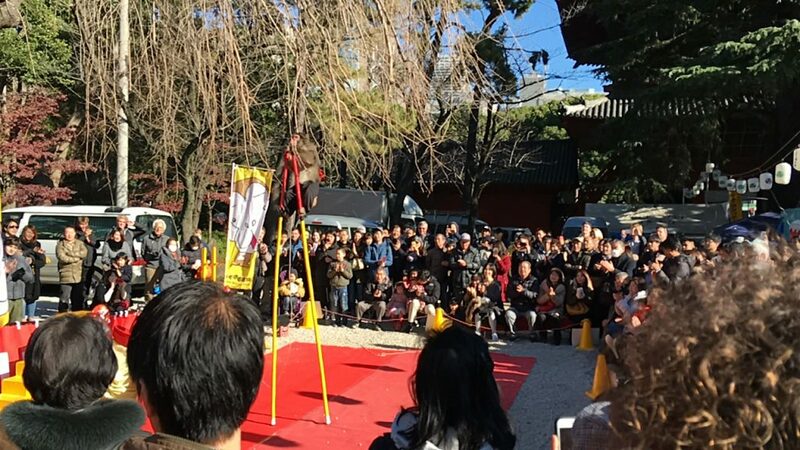 We enjoyed the atmosphere of New Year’s Day in Japan. 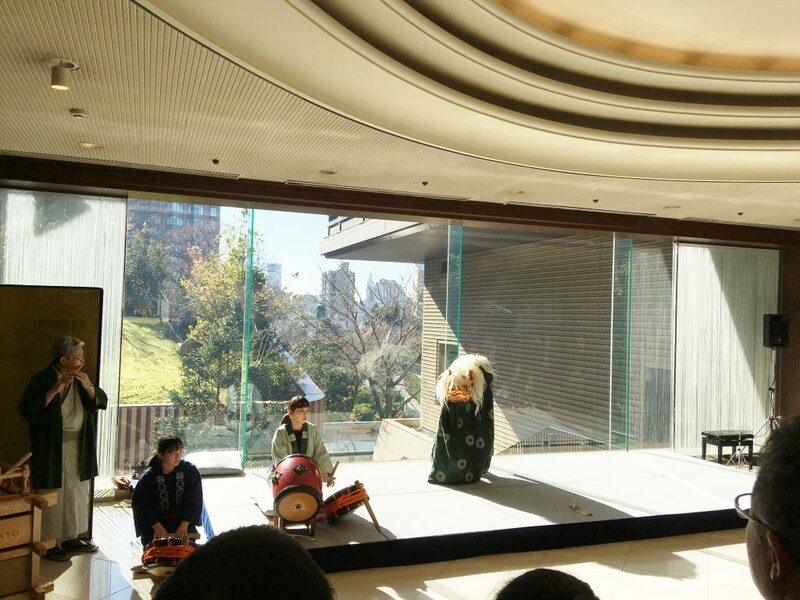 Lion Dance, Koto Performance (a traditional Japanese music instrument) and Monkey Show. 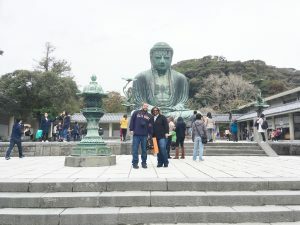 I guided a lady and her son from USA to Kamakura. As Kamakura was the center of the government from 1192 to 1333, there are many historical spots like temples and shrines. 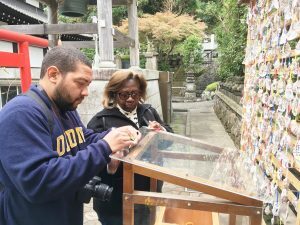 They wrote their wishes on wood plates called “Ema” and dedicated them to Hasedere temple. 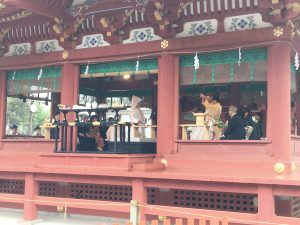 Luckily, we could see Japanese style wedding ceremony at Hachimangu shrine. 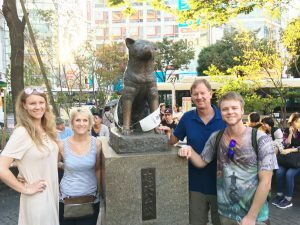 I guided an American family from Denver to Asakusa, Shinjuku, Harajuku and Shibuya. Do you know the story of Hachi-ko dog? He is really a faithful dog. He waited his master to come back at the Shibuya station every day for more than 9 years even after his master’s death. This story became the movie titled “ Hachi : A Dog’s Tale” starring Richard Gere. 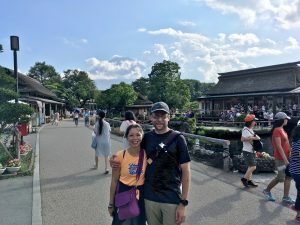 I guided an American couple to Mt. Fuji and Oshino-Hakkai. Oshino-Hakkai is a set of eight springs in Oshino, a small village near Mt. Fuji. It was designated as one of the National Top 100 Spring Waters by the government because of its high quality, water volume and transparency. We can take photos of Mt. Fuji with traditional Japanese houses here. Please find the article titled “Top30 Attractions in Japan by International Travelers 2018” by TripAdviser. 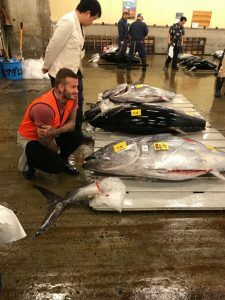 Tsukiji Fish Market is one of the most popular sightseeing spots in Japan and normally I guide foreigners there two or three times a week. 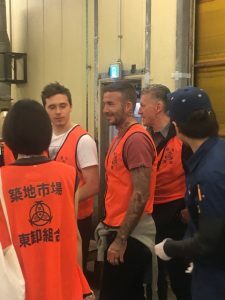 Actually, David Beckham visited there with his son on 24th May. Great!! Unfortunately, I was not at Tsukiji on 24th. 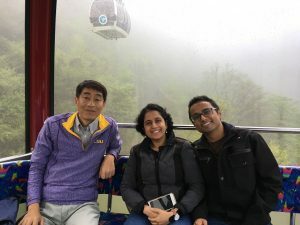 I guided an Indian couple for three days. We visited to Shinjuku, Meiji Jingu shrine, Harajuku and Shibuya. 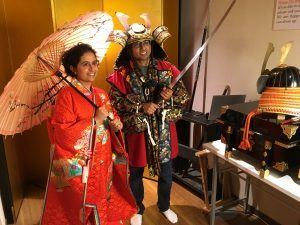 They became a Samurai couple at the Samurai museum in Shinjuku. We visited to Hama Rikyu garden, Asakusa, Imperial palace and Rikugien garden. They like a quiet Japanese garden. 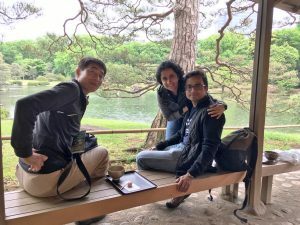 We enjoyed a peaceful time with Macha at Rikugien garden. 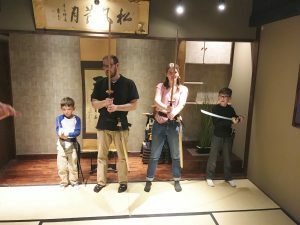 I guided an American family for two days. 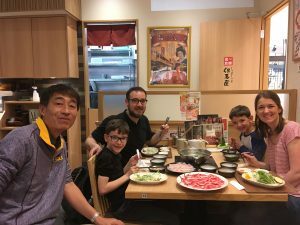 We visited Tsukiji Fish Market, Imperial Palace, Meiji Jingu Shrine, Asakusa, Akihabara and Shinjuku. 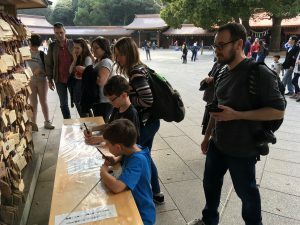 Boys wrote their wishes on the wood plate named “Ema” and dedicated it to Meiji Jingu Shrine. 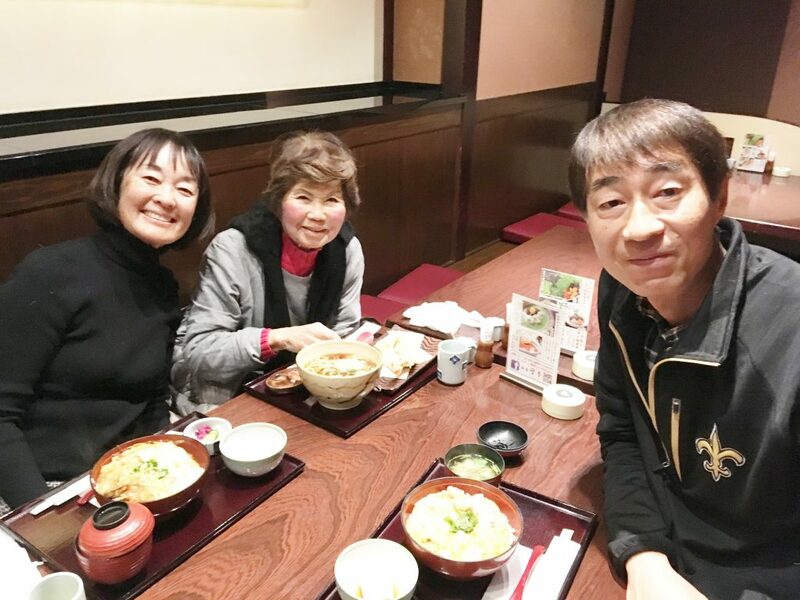 We enjoyed a Shabu-Shabu lunch, and they joined a Ninjya training school at Shinjuku. Boys were so excited at fighting with Ninja. Hello! I’m Hideaki Murayama. Just call me “Mura” or “Mura-san”. “San” means “Mr.” or ""Ms."" in Japanese. I have a national tour guide license in English. I have experiences to live in the following cities on business. - Kuala Lumpur (Malaysia) Four years - Nantong (China) One and half years, - Jakarta (Indonesia) One and half years - Baton Rouge (Louisiana, USA) Two years. My hobbies are playing golf, listening classical music and watching football. My basic policy as a tour guide is to entertain my guests with my best hospitality. I really like to see my guests smiling. 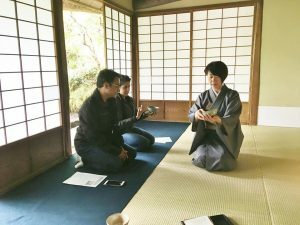 I myself also enjoy chatting with my guest about not only a general explanation about Japanese culture and history but everything based on my experiences and hobbies. 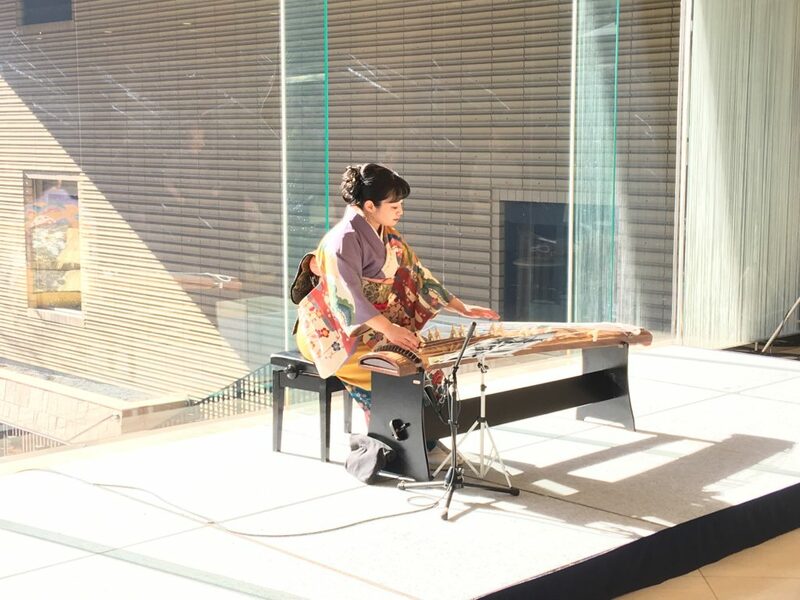 Let’s enjoy a wonderful tour in Japan !